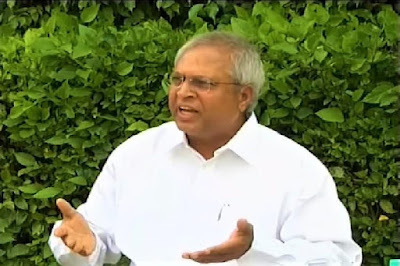 Former MP, Arun Kumar, said that the 2019 elections would be enough to bring back Andhra Pradesh. He asked the people of the state to give money to the next election. The money spent by the money was lost in the election and that the state would be better off. "The Chief Minister said that in the last four years, the state had literally invested Rs 18 lakh 50,000 crores. It is 20 percent of investments in the country. He asked whether he would ask for special investments to the investors who are investing heavily and asking them to get tax benefits. It is in the hands of the state to dispose of the state and allocate any state. Even decisions can be withdrawn again. Are we demanding a special status that we have no right? The upcoming governments are going to ask the center to give special status to any right. He said how to get a special status. Ask people to vote and explain to people that special status will be done. Tell us something is our hair. Tell the hair tie to the hill and tell him that Chandrababu. The polls are still going to be good. Give at least two thousand votes to vote. Those who do not sell the assets are debts and are trying to compete, he said. Give at least two thousand votes. Andhra Pradesh is going to come only one election to come. In this one election, everyone who wants to give money to the person who gives money. The spending money should be lost. This is not a small thing. Fraud can be done by politicians but the poor can not. He said that the poor can not cheat the conscience when pressing the machine to switch in.